When talking about robotics we are using the word in its universal meaning including industrial, virtual, home o whatever the function of a robot might be. 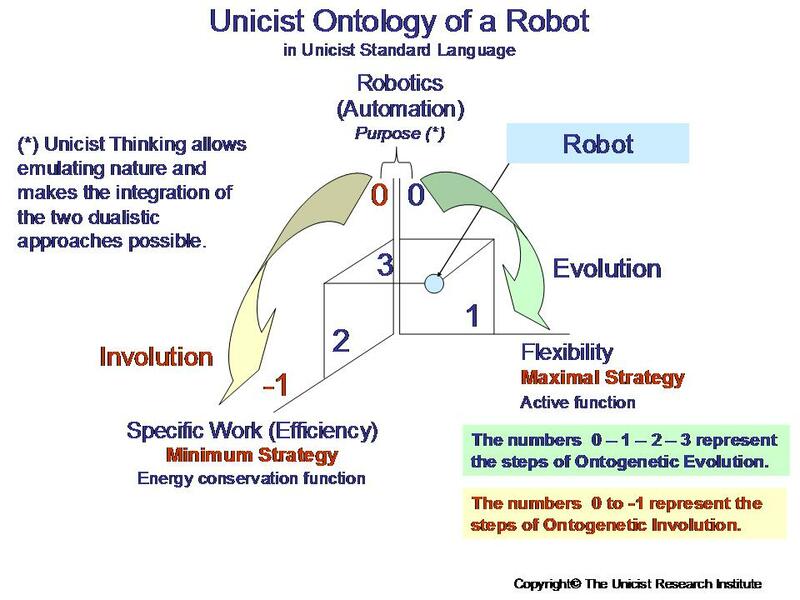 Robotics uses a system that allows introducing information of reality, introducing conceptual operational structures to modify the knowledge the system has, making decisions and dealing with the feedback from reality. 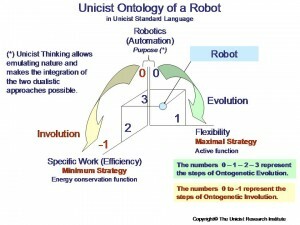 The objective of a robot is to develop a work. This work needs to generate value with quality assurance which defines robots as paradigmatic objects. Objects have a concept that is implicit in their function to generate value, working within the limits of their quality assurance. When talking about third or fourth generation robots, they include a methodology that allows learning and operating based on pre-established controls and learning processes. The function of robots is to work and generate value. That is why they are homologous to human work. Each generation of robots develops work in a different way. First generation robots are based on designing their functions as independent activities. Second generation robots are based on designing the structures of the context they work with in a strictly hierarchical way. Third generation robots are based on the control of the variables of the process that is being robotized. Fourth generation robots are based on the interdependence of their systems and the vision of the unified field they are part of.